Living or working in a largely rural area with fewer links and routes to the bustle or urban life can have its distinct advantages – peace and tranquillity for a start. However, it can mean that looking for specialist services and products is difficult or when you do find them, they are further away, inaccessible or lack the flexibility and understanding you require. However, our qualified, registered and fully adept service understands rural and suburban locales and works with you to deliver a high quality service. Wherever in Surrey that you require skip hire Dorking to Woking and everywhere in between – it really is no trouble for us! We have a number of clients in the Dorking area so you can trust in us to deliver and collect quickly, effectively and inexpensively. 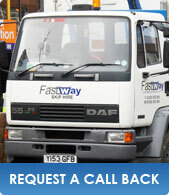 Simply give us a call and let us know what you need for a friendly, helpful and no obligation quote for services.